Avi Vantage delivers multi-cloud application services including a Software Load Balancer, Intelligent Web Application Firewall (iWAF) and Universal Service Mesh. 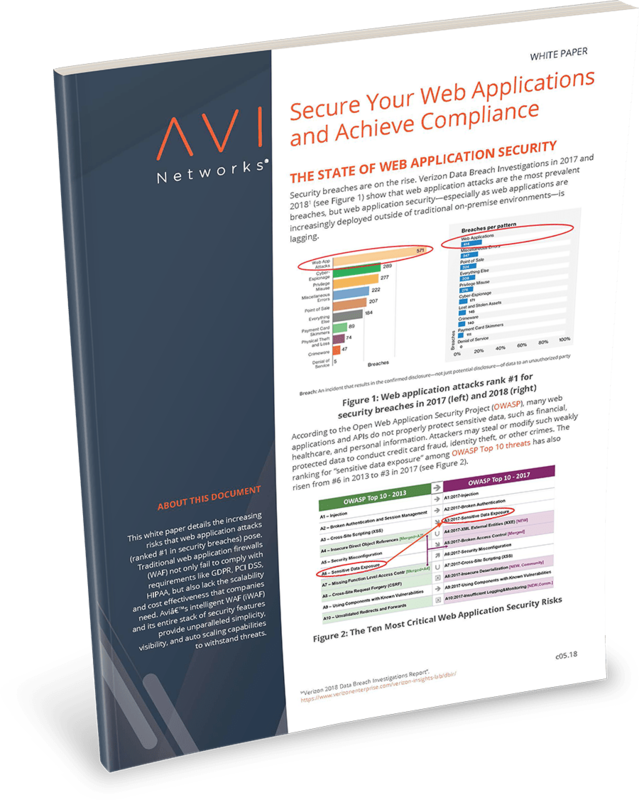 Avi’s iWAF delivers high-performance and simplifies web application security, with customized application security enforcement and security policies per application or tenant. Avi iWAF helps achieve compliance with GDPR, HIPAA and PCI DSS with a range of web application security features. It minimizes false positives with advanced security analytics, detection and enforcement modes, and protects applications from DDoS attacks and OWASP Top 10 threats with real-time app security insights and visibility. iWAF is delivered as part of the Avi Vantage Platform which provides a distributed web security fabric with central policy management, on-demand autoscaling, and built-in analytics for securing multi-cloud applications. This is a technical demo of the Avi iWAF, suitable for practitioners and technical audiences. This video provides an overview of the Intelligent Web Application Firewall (iWAF) from Avi Networks, along with a demo.